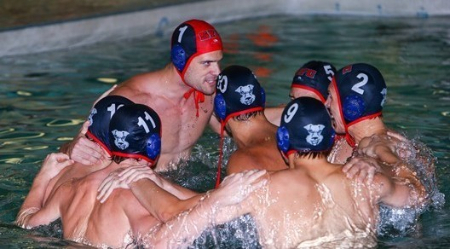 The St. Francis Brooklyn Terriers men’s water polo team fell 17-2 to the Stanford Cardinal, in the third place game of the NCAA Final Four. The game was played at Stanford University, in Stanford, California. The Cardinal led 4-0 after the first quarter of play. Stanford added six more goals in the second quarter, and led 10-0 at half time. With the score 12-0 in the third quarter, junior Lazar Komadinic put the Terriers on the board. The Cardinal scored two goals after the Terrier goal. SFBK would score again when junior Andras Kovas found the back of the net. This was the second consecutive season the Terriers reached the Final Four. They ended the season with a 23-12 record, and won both the Northern Division and CWPA titles.